... And not the interest you pay at the bank! Savings and Loans, for those who do not know, is a financial system used to help impoverished people that may not have assets, allowing borrowers to gain goods and generate income. Savings and Loans Groups allow people to pool their money together. The Village Savings and Loans Association adds that “the savings accumulate over time, and the profits from the loan are distributed back to borrowers." One positive of Savings and Loans Groups is that they do not have to involve overseas financial groups, keeping the currency circulating within the country. The story of 57 year old Rose, a single mother in one of Marare, Uganda’s many communities, displays another side of the story about Savings and Loans - about which financial institutions can be trusted and how she courageously took charge of her situation. 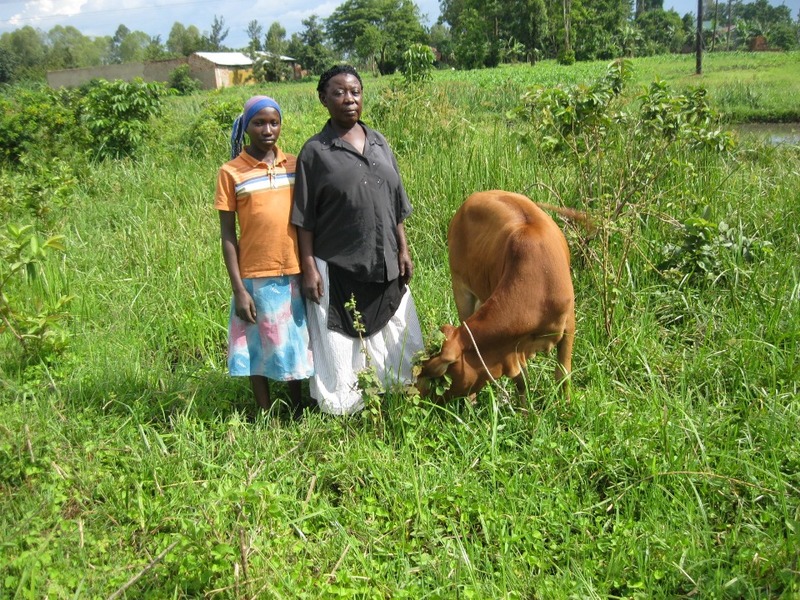 Rose was told by neighbouring women close to her community about the Savings and Loans methodology. Because she had seen exploitation from outside organizations take place among the poor, her initial reaction left her skeptical about joining a Savings and Loans group. But, Rose knew that she had to provide for her daughter’s needs, and her future. Even though hearing about the Savings and Loans group made Rose cautious of who to get involved with, she decided to find out more from a reliable source. The first step Rose took was to approach Food for the Hungry (FH) staff working in Rose’s community. The FH staff were able to answer the questions she had about Savings and Loans Groups. Food for the Hungry explained how Savings and Loans Groups were community led and community controlled in her area, which allayed her fears of being taken advantage of and gave her more confidence to make a decision. Giving her this information allowed her to know who to trust and the requirements needed in order to participate in Savings and Loans. Thanks to the information she received from Food for the Hungry, Rose invested in a dairy cow and now benefits from the nutrition the cow produces for her and her family. To help more women like Rose join Savings and Loans groups, invest in a "piggy bank"!